60% Off Threadless Black & white Tees Graphic Tees just $10! Thread: 60% Off Threadless Black & white Tees Graphic Tees just $10! 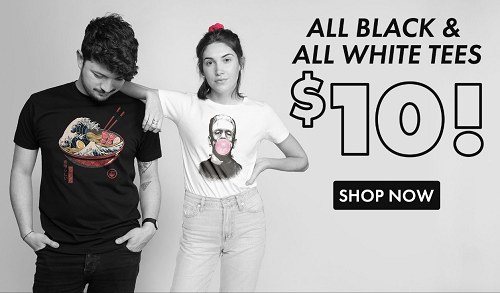 Today through Wednesday at Threadless ALL Black & White Graphic Tees are just $10! This sale applies to men's and women's regular, short sleeve tees only.